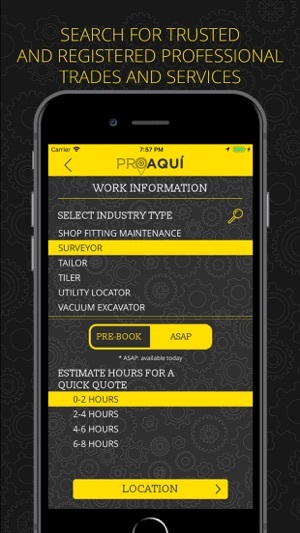 ProAquí offers a business or company a platform to connect with maintenance and service professionals. 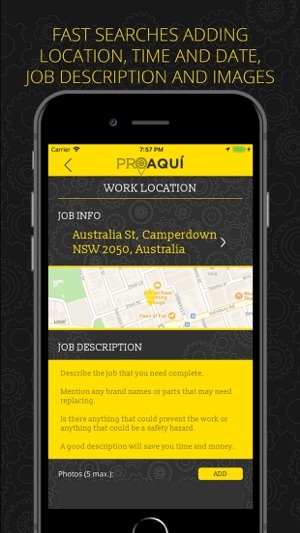 We will streamline the process of searching, booking and invoicing all contractor tasks within the workplace, with quick, easy and efficient access to all of your trusted professionals. 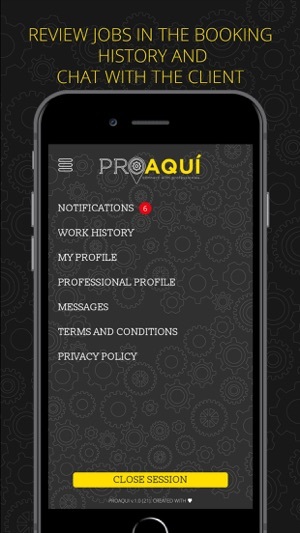 You can search listed professionals in under 1 minute with task description and images of the task to be completed. 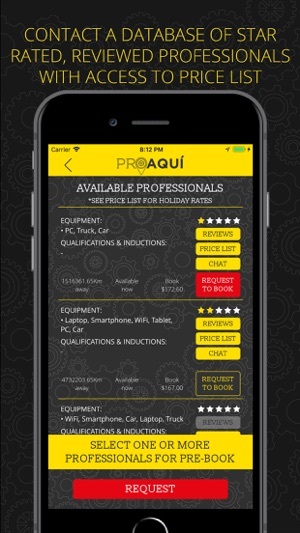 All profiles are star rated and reviewed from previous works. Chat option and price lists are available to view before booking. 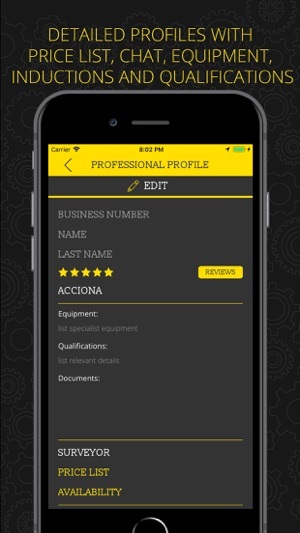 Professional profiles show qualifications, equipment and inductions along with images to back up the information provided. 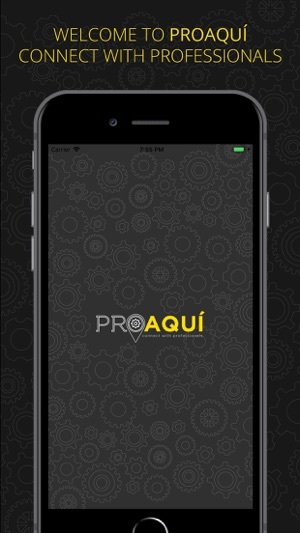 - Download for free and become a professional.